It so happens that plants with their fantastic green foliage make people happy. Flowers generate happiness and improve people’s moods. It’s a fact being around foliage triggers responses that bounce through billions of neural pathways in the brain to inevitably inform us that, yep, we’re feeling great. Simply take a walk around a park and notice how plant nature soothes and relaxes our human nature. Indoor plants do the same thing. Whether its a lovely palm flowing up from a container or a wall filled with living plants, being surrounding by them makes life better. Here are 5 reasons indoor plants make you happier and why you should give thanks for the gifts they give to us. Plants makes us feel better and give us increased energy. Plants bring feelings of vitality and improve the state of mind. The subliminal effect of plants has an effect that lifts the spirit and brings happiness. 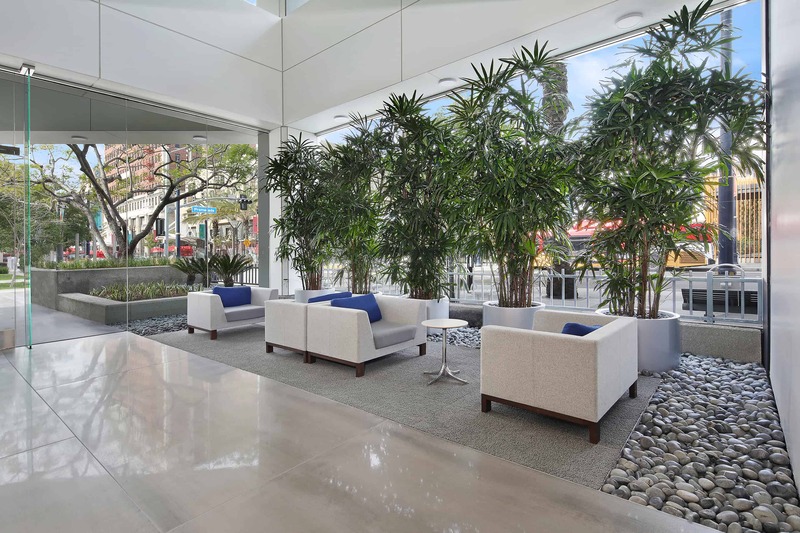 An environment that includes natural elements and plants brings a positive outlook on life and boosts people into feeling more alive and active. Our minds need to be stimulated and one of the best ways is to bring the energy of outdoors, indoors with plants. Our deep connection to nature makes us feel good. Biophilia is the connection we feel to nature. Staring up at a blue sky, the wind blowing softly, the sweet smell of early morning and the golden treasure of being enveloped in greenery touches us profoundly. Since we tend to spend so much time indoors, bringing plants inside bridge that biophilic connection for us and the soothing effects are just as powerful. We are hardwired to the shapes, colors and sounds of nature. And viewing pictures of nature as well as mimicking the beauty with indoor plants, living walls and water features brings us peace. Stress is minimized through the relaxing benefits of plants. Plants help people concentrate in the tasks at hand, whether at home or the workplace. In a University of Michigan study, memory retention increased 20% while being around plants, positively effecting learning abilities. 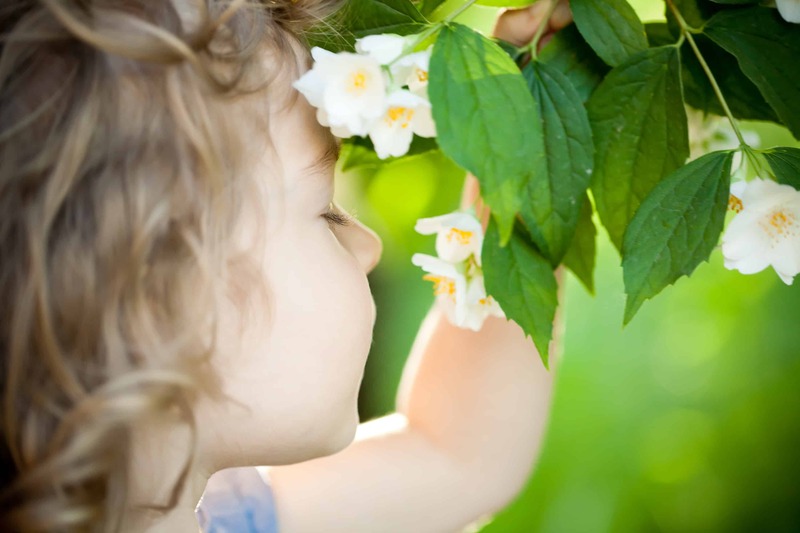 The effect of nature stimulates the senses and the mind which improves mental cognition and performance. 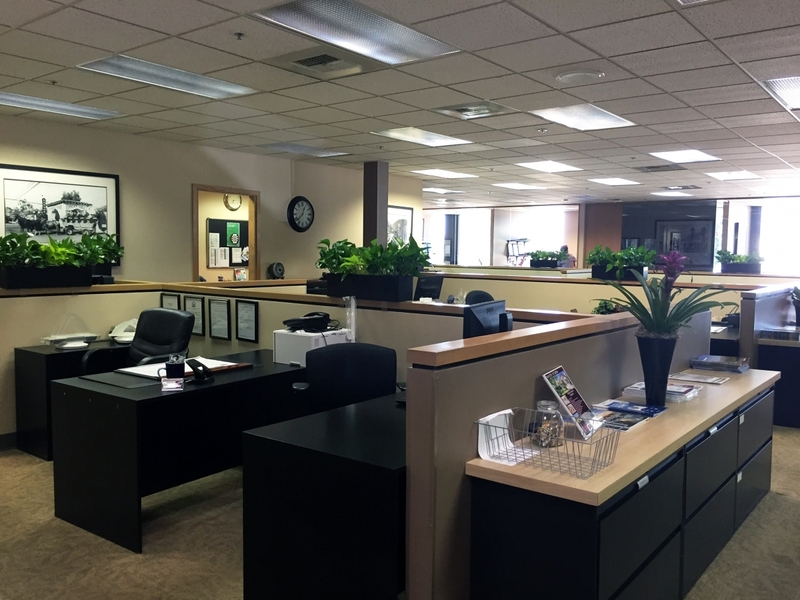 Work performance is better, more accurate and of a higher quality when plants are around. Setting plants indoors where people can visually see a plant is one of the best things to do for a stagnant environment. Even placing one potted plant on a desk has been shown to increase the ability to focus on task at hand and to decrease employee absence. 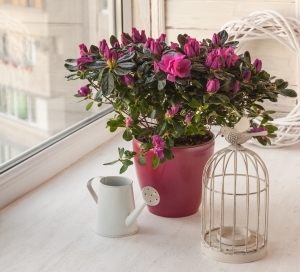 Plants diffuse noise to create a more peaceful environment. Living in urban life is noisy. Cars zipping by on roads, lawnmowers, blowers, construction, and all types of noise create a less peaceful environment. The low grade noises that irritate are part of the abundance of stressors we are exposed to everyday. Plants outside have been used for years to keep noise levels down. And plants can do the same thing inside a home or building. Plants and their leaves absorb sound, as well as diffract or reflect the background noise, giving the surrounding environment a more peaceful atmosphere. Placing taller plants in containers by windows or in strategic areas where you want to diffuse the noise level is just one of the skills a plantscaper brings to every job.